See hundreds of people hard at work at Dhobi Ghat, a traditional open-air launderette. Take a tour of the large site to see the dhobis washing and drying clothes and materials in separate baths and colorful drying areas. Each individual wash pen features a flogging stone on which the dhobis beat the clothes to dry them, with water flying through the air in an entertaining scene. A guided tour introduces you to the history of the site, and the lives of the workers and their families. Plan your visit to Dhobi Ghat and a wealth of other attractions, well-known and undiscovered, using our Mumbai online travel route planner . The place is good for a one time visit... Photographers can stimulate their photography skills and find interesting shots here.. The reason for three stars is, the place is not every clean and tidy.. People here amiable and co-operative. A sight worth seeing! You can view across the site for nothing from the upper road or you can pay for a guided tour through the complex itself. I recommend the tour because you learn how the whole system works and get to see how the work is done. And where the people live - just steps away from where they work each day. Clothes washed, dried and ironed in old fashioned manner, even if the area seems less hygienic, the outcome of the clothes is very nice. Old wine holder made out of bricks used for water, old iron machine that works on coal.. it's worth a visit. 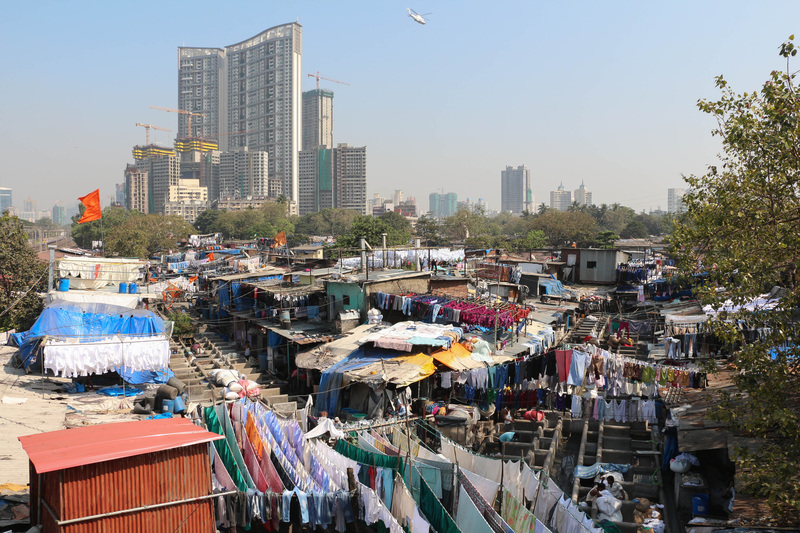 Dhobi ghat is a blend of history and culture prevailing over 100 years. It was initially built to wash clothes of British army. Currently catering to clothes of nearby residential and commercial actives. It has 731 ghats with population of nearly 6,000 people. One should definitely give a visit to Asia's biggest open laundry adjoining Mahalaxmi station. Photography point. Walking among the corridors of the biggest laundry of this kind in Asia gives you a whole new perspective on the process your clothes go through before you buy them. So much manual labor, simply impressive. One worker can press 300 hundred pieces of clothes per day, using a 6 kg coal-iron. I can't iron a shirt in less than 5 minutes, I couldn't reach that number if I worked 24 hours a day, non stop. Just overwhelming. Definitely worth a visit if you're in the area. Every day, we help thousands of travelers plan great vacations. Here are some tips on how to use your Listing Page to attract more travelers to your business - Dhobi Ghat. Promote your permanent link - https://www.inspirock.com/india/mumbai/dhobi-ghat-a718162405 - on your website, your blog, and social media. When a traveler builds a plan from this page, the itinerary automatically includes Dhobi Ghat. This is a great way for travelers looking for a great vacation in your city or country to also experience Dhobi Ghat. Promoting your link also lets your audience know that you are featured on a rapidly growing travel site. In addition, the more this page is used, the more we will promote Dhobi Ghat to other Inspirock users. For best results, use the customized Trip Planning Widget for Dhobi Ghat on your website. It has all the advantages mentioned above, plus users to your site can conveniently access it directly on your site. Visitors to your site will appreciate you offering them help with planning their vacation. Setting this up takes just a few minutes - Click here for instructions.